This is an on-going battle between PC users and the console users...War! This is a downloadable PS3 Online game...odd, isn't it? 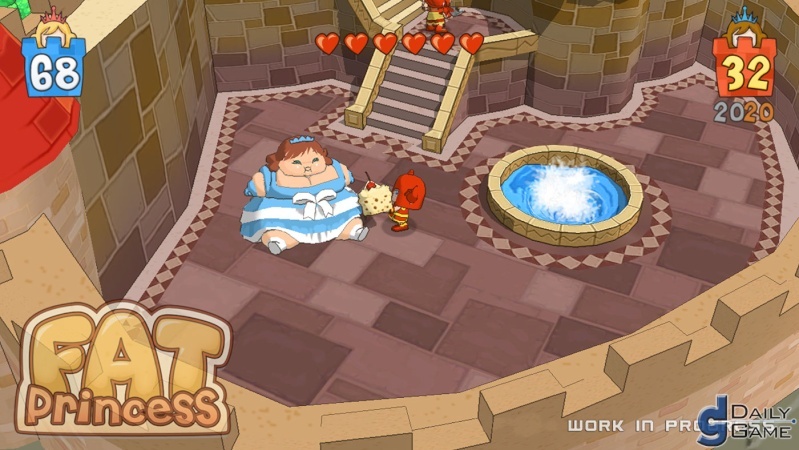 The aim is to rescue ur princess from the other team, but while she is captured the enemy can continue to feed her pieces of cake to make her FAT! making her heavier and harder to carry. Re: PC vs Console! | Which is better? PC KICKS & SO DOES PS3 & good ol' PS2!!!!!!!!!!!!!!!!!!!!!!!!!!!!!!!!!!!!!!!!!!!!!!!!!!!!!!!!!!!!!!!! 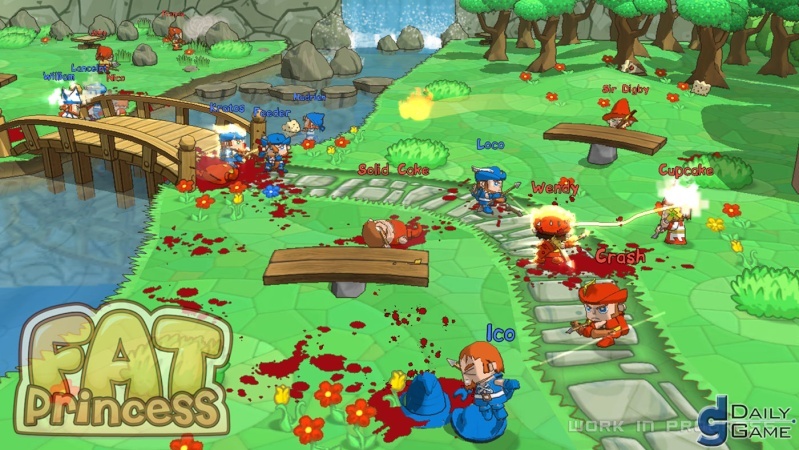 PC got: can be portable, games are less expensive, is the HOME OF RTS (you can't beat the good ol mouse & keyboard! ), and can be upgraded & you need one at home anyways! seriously there is no winner! SERIOUSLY though, that's not the best 2 offer on console!, the list is endless, you should add like an entire new section just for console games! haha yeah! I mean who wants to play FPS games with analog sticks? SPORE = GREATEST DISAPPOINTMENT OF ALL TIME!!!! hey spore is a stupid game but come on just look at those pics!! 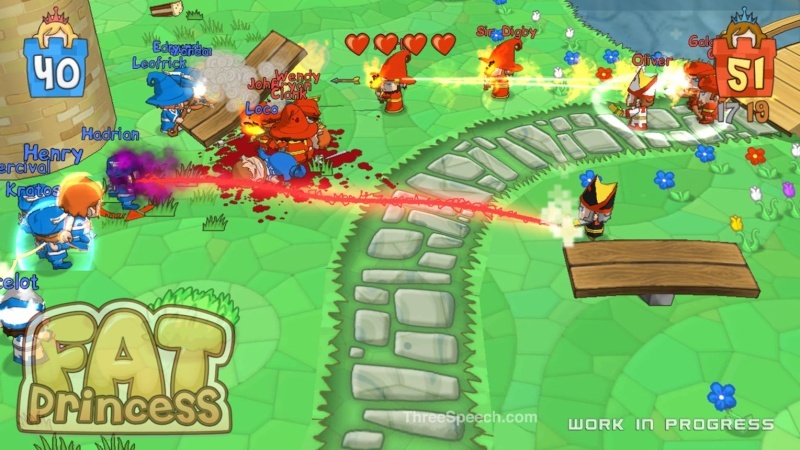 I would rather have spore than that stupid game on ps3 "fat princess"! Hahahaha! Pc beats console with that point!!! Halo 3 was lame thats why they they didn't bother bringing it out on pc, halo 2 was better and had better multiplayer too. Weasil wrote: haha yeah! I mean who wants to play FPS games with analog sticks? Hey were talking about PCs in general! if you dont have a good enough computer to play a game then TOO BAD!! hahaha!! Oh and you may want to play an FPS game with analog sticks but it is just to hard to control and just not as much fun as a keyboard and mouse! Ok, consoles only exist because of pc's. If pc's were'nt invented there'd be no consoles. they are basically computers with different software, that use a tv as the monitor and doesnt have a keyboard or mouse. yeah yeah.